Kooks Custom Headers set the standard for the header and exhaust industry. Kooks kits come with everything needed to complete the install. All of Kooks products are hand made in the USA using premium stainless steel. 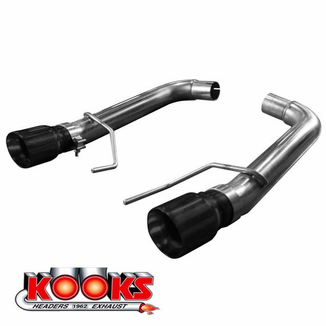 This OEM to 3" Axle Back Exhaust kit includes a 2 1/4" inlet, 3" Outlet Stainless Steel Axle Back with muffler deletes and 4" black tips and is intended for use with factory OEM exhaust system.